Israel Aloni is an independent choreographer, educator, performer, writer and culture entrepreneur. In 2013-2014, Aloni was a guest artist with Sasha Waltz & Guests in Berlin, Germany. 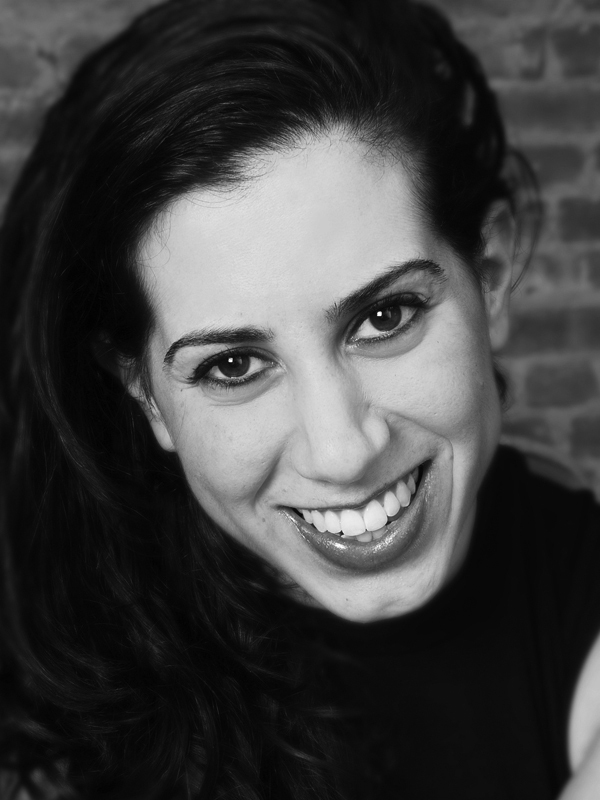 Alongside their career as a performer, Aloni has been choreographing, mentoring and teaching dance. They have worked around the world with both professionals and students of higher education in independent structures as well as in institutions such as Regionteater Väst (SE), Norrdans (SE), Sasha Waltz & Guests (DE), NAROPA (US), Sydney Dance Company (AU), Estonian National Ballet, Lithuanian Academy of Music and Theatre and MAPDance Chichester (UK) to name a few. As an independent choreographer, Aloni has developed their own choreographic language which is also the core of their teaching method. Aloni’s practice is mainly derived of their fascination with the infinite creativity of the mind and fantasy, whilst utilizing the body as a physical demonstration of the self – a medium for interaction with others and subjectively experiencing the world. Moreover, their methodologies of creation and production are direct results of their desire to facilitate a reality in which individuals are liberated and encouraged to emancipate their subjective artistic voice through actions and activities that reward the artists, their collaborators and the public. There is a constant element of research and query in Aloni’s artistic and educational work which accompanies their making, developing and teaching processes. Currently Aloni is describing the language and methodologies of their practice, in order to share a more sequential and coherent trajectory of their philosophy with others. All of Aloni’s multidimensional and multidisciplinary practices are voluntarily or involuntarily orientating towards the development of their method – The I.Aloni Experience. Aloni’s inquisitive nature leads them to investigate, research and challenge phenomena and concepts in various fields of knowledge and domains. Notably, Aloni is engaged in and aspire to stimulate the discourse about gender and nonconformism. They regularly return to biology, anthropology and psychology for references. In addition to the choreographic work that Aloni continuously develops, they occasionally release written articles that reflect on social-political matters and contemporary dance practices. At times, the articles are filled with queries and quests which aspire to mainly inspire the reader to ponder and perhaps come to new conclusions of their own. Such article is Impulses post Impulstanz 2017. Other times, Aloni presents clear proposition for new thinking and reorganization of the collective consciousness in order to evolve our reality into a more equal, liberated and humbling place to live in. Such article is What Do You Mean When You Say Gender? which was commissioned and published by IETM in 2016. Israel Aloni is the Artistic Director of ilDance which they also co-founded with Lee Brummer in 2012 in Gothenburg, Sweden. From January 2018 Aloni is also the Artistic Director of Tr.IPP which is a unique pathway for artists in the dawn of their career where they are mentored on the journey to emancipate themselves and unleash their individual artistic voice through holistic thinking, critical view on art and society as well as crosssectorial investigatory processes. Tr.IPP is operating within Transit Dance in Melbourne, Australia. Additionally, Aloni is a member of the advisory board of BIRCA - Baekkelund International Residency Center for Artists on Bornholm, Denmark. Lee Brummer is an independent choreographer, international guest teacher and educator. As a performer she danced with the Bat Dor Dance Company (Israel), The Emanuel Gat Dance Company (Israel) and with various independent choreographers across Europe. She has worked as choreographer's assistant in a variety of dance productions and musicals in Sweden and abroad. Brummer completed her BA-Dance and teaching degree at The Jerusalem Academy of Music & Dance and has studied psychology, theatre and pilates alongside her career as a dancer and choreographer. Over the years Brummer has been teaching and working with companies such as: DV8, Australian Dance Theatre, Sydney Dance Company, National Dance Company Wales and Norrdans to name a few. Additionally she has been guest teaching open professional classes and at universities and schools worldwide. Brummer has been choreographing her own work within different structures since 2010. Today her teaching practise is composed of anatomical and physical exploration which is dedicated to discovering ones individuality, originality and capacity within their own body. In her choreographic practise, text and spoken word have become more influential as part of the process and work on stage. Her attraction to text is varied and spreads across the spectrum of originally written text, interviews, scripts and spoken word. Brummer co-founded ilDance together with Israel Aloni in 2012.